If you don’t already have a Monero wallet, check out our guide: How to create a Monero wallet. First download the XMR-Stak miner by going to https://github.com/fireice-uk/xmr-stak/releases and download the latest xmr-stak-win64.zip file. 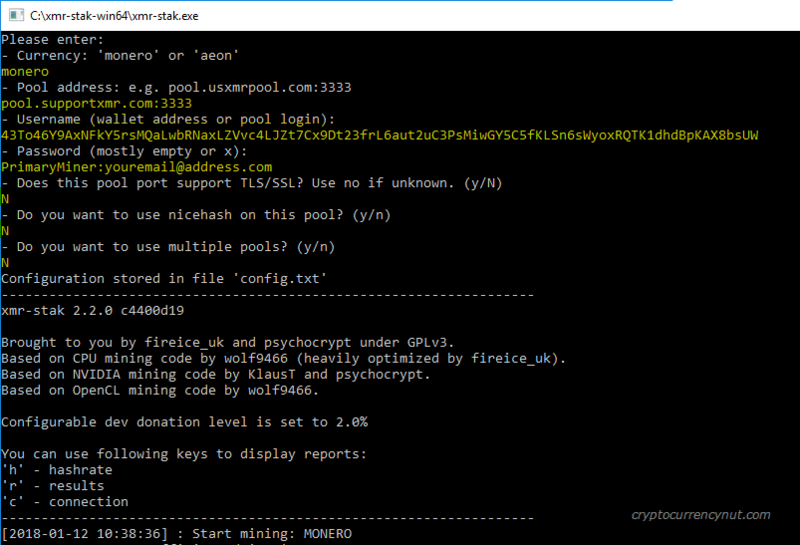 Your first time running xmr-stak.exe you will be asked a couple of questions to configure the miner. These settings will depend on which Monero mining pool you use so answer appropriately. Once the last question has been answered the settings will be saved in config.txt and XMR-Stak miner will automatically start mining Monero! 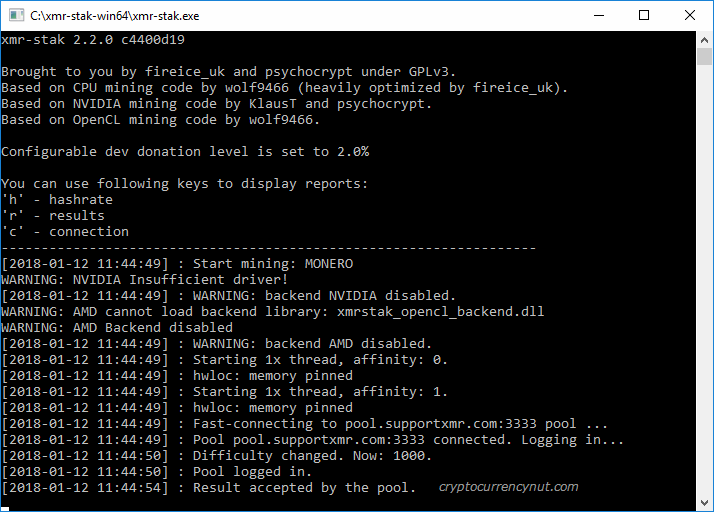 That’s it, in 3 simple steps you are now mining Monero on Windows! 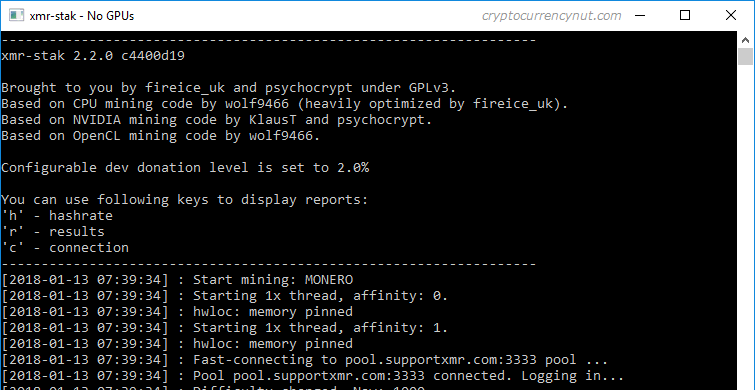 If you have any Monero mining tips or tweaks please share them in the comments below. I received a question on Reddit from /u/SkynetGenisys on how to use XMR-Stak using only CPU. 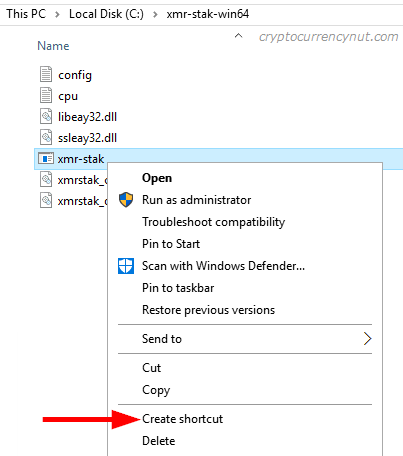 Below are the steps to quickly disable GPU mining when using XMR-Stak miner! 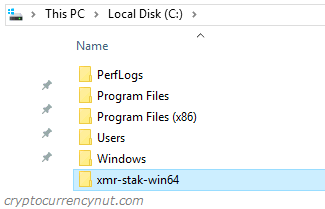 First, right click on the XMR-Stak.exe application and click on Create shortcut. Now right click on the new XMR-Stak shortcut and select Properties. That’s it! 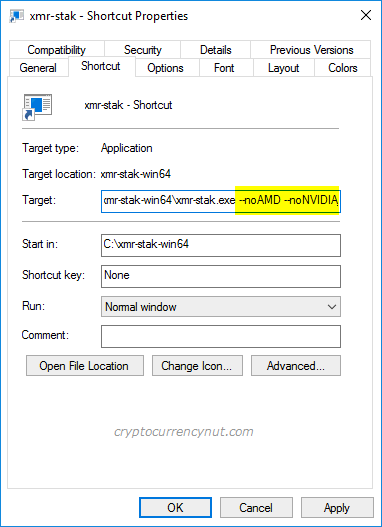 Now when you run the XMR-Stak using your newly created shortcut, XMR-Stak will no longer try to mine using GPUs.